Have your trees been damaged by an ice storm or heavy winds? Do you have broken branches in your yard or on your roof? 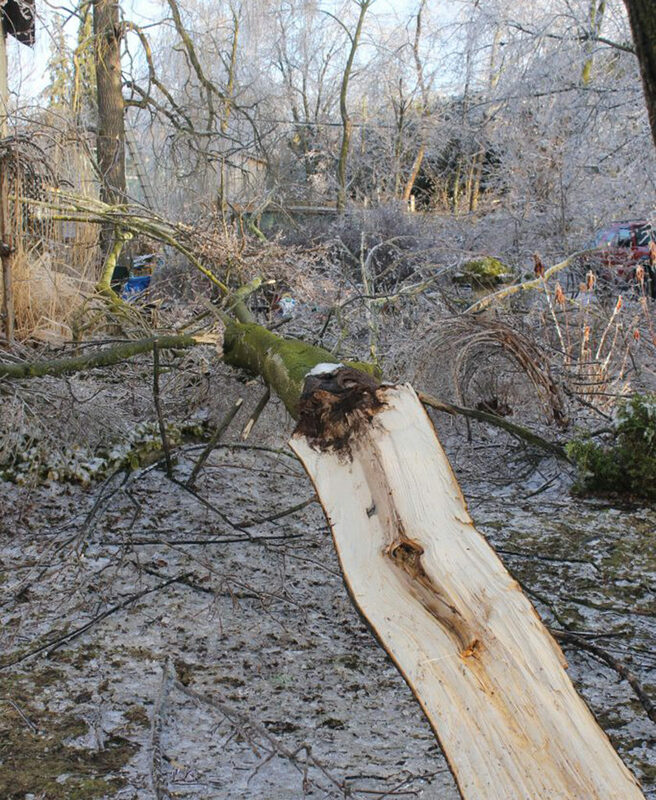 Get in touch with Baum Tree Care to assess the damage and decide what steps need to be taken next. We will help you with your storm damaged trees. 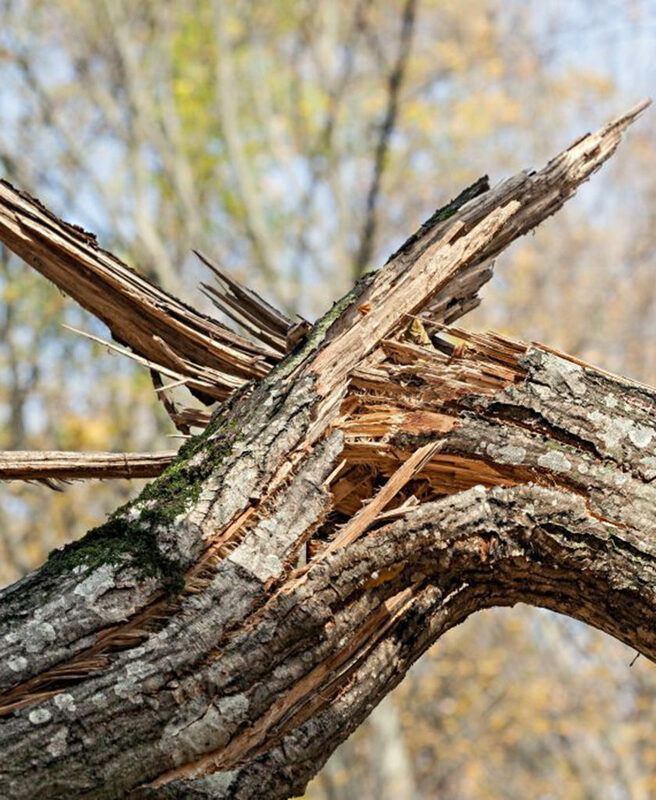 When severe weather causes damage to trees, the damage can be minor affecting a few small branches or it can be major failures affecting many large branches or the entire tree. Minor damage can usually be addressed with minimal pruning, while major damage may require a full restoration, entire crown reductions or even tree removal. In any case, it is important to address the broken branches to prevent a ‘domino effect’, where the holes in the crown created by broken branches leads to a tree that is overexposed and at an increased risk of injury in a future storm. Hiring a trained arborist to evaluate storm damaged trees is important for preventing further damage. Our team will assess your trees to determine whether they need to be removed, or if we can bring them back to health. In all cases, our goal will be to restore the trees and ensure they stay healthy in the future — we will only recommend tree removals in worst case scenarios when they have been severely compromised. Homeowners should consider that preventative maintenance for their trees can cost less in the long run and that trees that are (properly) pruned on a regular basis are much less likely to fail in a storm. The frequency of pruning for preventative maintenance depends on the tree, but it is generally required every three to five years. Preventative maintenance is a much more affordable option for homeowners than removing a full tree, following storm damage. Click the link above to read our blog and learn more about preventative maintenance.If you are looking for help with storm damaged trees or preventative maintenance for your trees, contact the team at Baum Tree Care today for a free tree pruning quote.